The payroll department is one of the most important of any successful business. To succeed, payroll vacancies must be filled by the most able, most suitable, and most IT competent professionals. It is this IT competence which tends to be underlined with the use of Sage. For over 20 years, Portfolio Payroll has worked with candidates and employers to match particular skills with particular payroll jobs. Along the way, we became the only agency recommended by the Chartered Industry of Payroll Professionals (CIPP). Because the jobs in payroll are highly varied, many of the skills required are specific to the vacancy itself. Yet almost all who work in the industry come into contact with Sage on a day to day basis. And to use this program, and assist others in their use of it, is the role of a Sage consultant. When would I need a Sage consultant? Sage consultants know the Sage accounts software inside out. They are invaluable as instructors, trainers, and problem solvers when you have any problems with Sage that you would like to resolve. As there are a few variations of the Sage software, such as Sage 50 or Sage 200, it is important to check that the consultant is certified to use the version of Sage you use in the workplace. Set up: If you are yet to set up Sage within your business, a Sage consultant helps to make this process a smooth one. They know the typical difficulties associated with the task, and often save you from the cost of problem fixing further down the line. Upgrade: Sometimes you may already use a particular version of Sage, but now wish to upgrade to a new one. Sage consultants can discuss the options with the person in charge of this task, such as a payroll manager, to make sure the version you use works for your business. Train: When an aspect of your payroll process uses Sage, training your staff to use it can be difficult and often time consuming. A Sage consultant handles this responsibility to provide payroll staff with a deep and up-to-date knowledge of the software. Many also offer refresher sessions to polish rusty skills. To get in touch you can e-mail recruitment@portfoliopayroll.com with any questions, call 020 7247 9455 for permanent recruitment, or for temporary recruitment call 020 7247 2882. 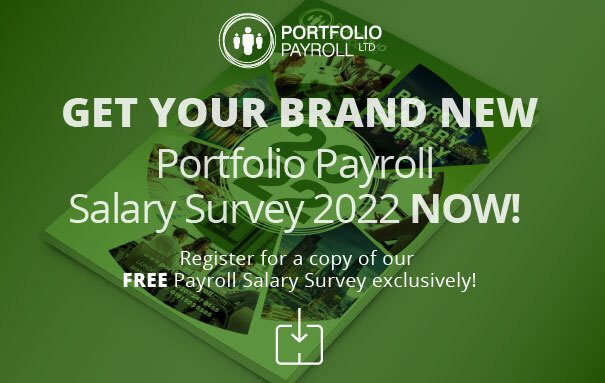 No matter what vacancy in payroll you are looking to fill, Portfolio Payroll will help you to find the perfect candidate.